As senator, you will be entering in a whole new phase of your life. As a newcomer, you have a freedom of thought and a creativity which will invariably be constrained once you will have internalized the Senate's culture. Use this limited time wisely. The appearance of a group of independent senators is the best sign that we are at a unique juncture in the evolution of the Senate. Our constitution never specified that the Senate had to be partisan although it was almost inevitable. The problem with partisan thinking is that, by its very nature, it must attend to a partial view of reality. The partisan uses information to fight for power, not to seek truth. The partisan hides inconvenient truths while the independent actively seeks them out for the common good. Independent thinking is very difficult for people having years of practice in partisan thinking, but it should be much easier for you coming from a more normal background. The most important problems facing Canada are inherently long term: destructive climate change; ocean acidification and sea level rise; uncertainty in funding pensions and health care; increasing instability in the world of which the current symptoms are terrorism, large scale migrations of refugees, and the rise of extreme right-wing politics; exacerbated inequalities of income and living conditions even in modern rich countries; the progressive replacement of human workers by robots and computerized intelligence; the replacement of moral criteria of evaluation by purely commercial, inhuman, criteria. Humanity has always faced problems, but never on this scale. How can we respond to this situation? What we do not consciously attend to will eventually hurt us on a grand scale. We have no parliamentary institution presently dedicated to taking charge of the long-term view for the country. The government and parliament are run by people whose attention is almost entirely focused on the very short term -- for example the next election cycle, today's scandal or terrorist attack, and so on. Of course, there is nothing wrong with that. Someone has to attend to the short term. However, the consequence of not having an institution for the long term is that some of the things we need to do now will not be done, but rather shifted to an unspecified future time where things will somehow work out. This is a recipe for disaster, or at least sub-optimal results. Before the current epoch, we could and did muddle through, but now we have entered a qualitatively different time when we cannot act as before. What we do not consciously attend to will eventually hurt us on a grand scale. Senators are the only parliamentarians who could possibly develop and maintain a long-term view. Imagine if the Senate took upon itself to formally and explicitly produce recurrent updated nonpartisan prospective studies, somewhat like the IPCC, but concerning a range of perennial problems facing Canada. It would explore a variety of possible futures and recommend appropriate policies to serve as a major framework for legislative activity. With this new culture, the Senate will earn the strong legitimacy it sorely needs. The prospective studies would represent a complete inversion of the work we are used to seeing from politicians. 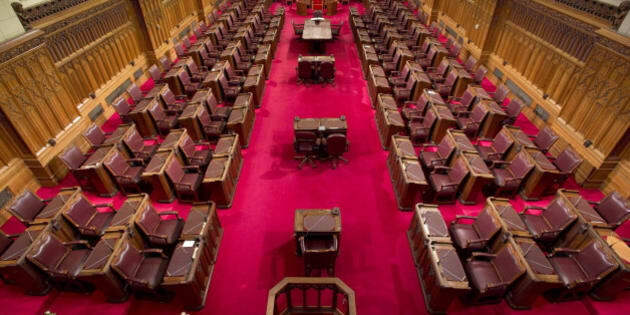 Instead of proceeding in a closed process from the inside out where they try to sell us their load of goods, the Senate would proceed from the outside in, gathering input from a wide range of sources the world over, remaining in constant communication with the Canadian public from beginning to end in a completely open process. The Senate can evolve its culture from the inside without any constitutional change. No one can tell it what to do, and conversely no one can stop it from evolving if the Senators so choose. A culture is a shared belief from which flow a set of actions. If you all want to be partisan, that is what will be. If you choose to be and remain independent, and if you choose to take up the burden of long-term thinking, then that also is what will be. With this new culture, the Senate will earn the strong legitimacy it sorely needs. Practically, this transformation will be difficult mainly because the existing culture has had close to 150 years to ensconce itself and develop various means of blocking change. This is natural. This is what culture is all about. If you manage to evolve it, then the result will also be durable. Maybe the independents could form a group jealous of its time, choosing to leave to the partisans the day to day short term thinking, and concentrating the majority of their efforts to spearheading the cultural evolution of the Senate. It is easier to build the new if you are not continually pulled down by the old, smaller stuff. Don't wait too long, because the existing culture will seep into your mind and you will lose your way. In closing, I want to illustrate what I wrote with a tiny down to earth example that can serve as a tangible anchor to this vision. In Canada, we have managed over decades to destroy the cod fishery. We are no stupider than the other countries who have done the same with their fisheries. All political parties contributed to this disaster, ignoring the scientists and the onshore fisherman who knew a lot about what was going on, preferring to "create jobs" with "investments" until the whole thing unravelled. Something was missing, and that something is what we need to create institutionally in parliament. I dream of a Canada able to naturally avoid such disasters because it has implemented the proper counterbalancing institutions. The cod fishery is nothing compared to what we are facing. Without a major change to the Senate's culture, I expect we will be condemned to inhabit a very disagreeable future.